The official Guardian Roof system was designed with the homeowner in mind. Lightweight and well insulated, the Guardian Roof system was created for one main purpose: to replace and upgrade your existing glass or polycarbonate conservatory roof. To find out more about our range of Guardian Roof systems and our unique Guardian Warm Roof, get in touch with our team of experts today on 01670 710050. To find out more, please visit our Guardian Roof Newcastle page. 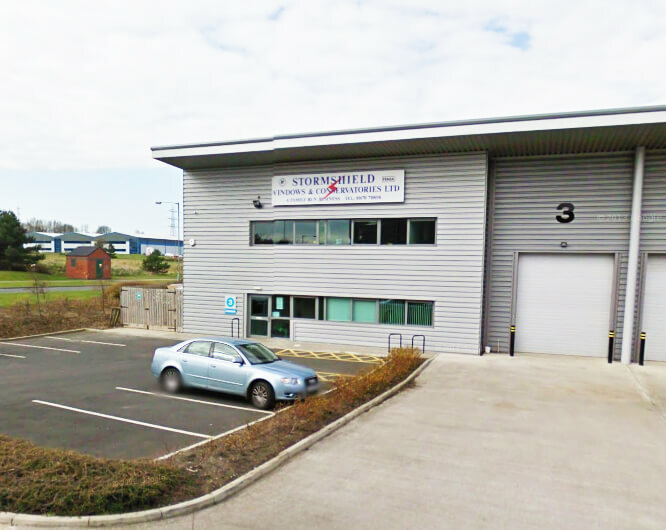 At Stormshield, we’ve been providing homes with cost-effective home improvements throughout the North East for over 30 years. Our comprehensive range of doors, windows, bathrooms, kitchens and conservatories have helped bring homeowners dreams to life. We take great care in delivering the very best service across our entire product range, and our friendly team are always on hand to provide information and advice for when you need it most. Below, we take a look at the Guardian Roof system in the Newcastle region. Installed across the North East, our team discuss the characteristics of the Guardian Roof, what you can expect, and the benefits it can provide your home. Considering a conservatory roof replacement? 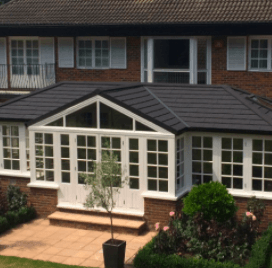 Many of our customers have chosen to the Guardian Roof as their first choice conservatory roof replacement as their conservatory is either too hot in the summer or too hot in the winter. Older conservatories are also quite noisy and creak under the smallest of winds. The majority of these issues stem from the same source – their polycarbonate roof. This not only makes your conservatory a difficult room to use throughout the year, it becomes a bearing on your utility bills and how you can effectively use your home. When searching for a conservatory roof replacement, the Guardian Roof System not only improve the overall appearance of your conservatory, it’s also fully insulated and soundproofed. This impressive conservatory roof can fit directly onto your existing conservatory frame and provides a much-improved balance to the temperature of your conservatory throughout the year. So, if you’re searching for ‘Guardian Roof Newcastle’, get in touch with our team today to find out more, or read on below. The installation of our brand new Guardian Roof system will take a few days, depending on weather conditions. Before any work is carried out, our team will survey your existing conservatory roof and plan out the best methods of removing your existing conservatory roof and replacing it with a new one. When carrying out a project for Guardian Roof Newcastle, you can expect to be left with a tiled conservatory roof and a beautifully plastered vault ceiling on the inside of your conservatory. With a large number of tiles and colour to choose from, each Guardian Roof design has its own benefits and perks, depending on how your current conservatory is built. If you’re considering to replace your existing roof with a Guardian Roof Newcastle, we can provide you with a comprehensive, no obligation quote for your new conservatory roof. The arched design of the gable-ended Guardian Roof provides continuous height within the room thanks to the central ridge where the both sides of the roof meet. This increased area provides space for a beautiful gable ended window that provides an abundance of light throughout your conservatory. This style of roof is ideal for replacements and newbuilds. The p-shape conservatory (also known as the ‘combination’ shaped roof) consists of two various roof types within one build. If you have a p-shaped conservatory roof and are looking for a Guardian Roof Newcastle, then this unique and adaptable roof system can fit perfectly to your specification. The Edwardian Roof. 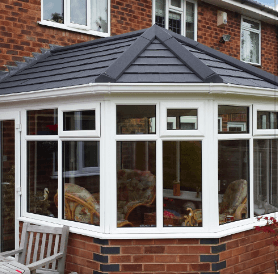 The classic style of the Edwardian Roof maximises the living space within your conservatory whilst providing that traditional external design. This Guardian Roof type will optimise the available space in your conservatory and truly makes it a room for all year round. The versatile Victorian roof generally consists of 3 to 5 facets across the roof. Tailored to your specific measurements, the Victorian Guardian Roof comes in a unique range of colours and designs to perfectly match the design of your home. The Lean-To Guardian Roof system is a simple yet effective roofing system that optimises the space towards your home. The roof slopes down from where the conservatory connects with your home and provides the perfect living space for a kitchen extension or leisure space that can be used all year round. For more information on our range of Guardian Roofs Newcastle, get in touch with the Stormshield team today on 01670 710050. Alternatively, you can fill out the ‘How much does a Guardian Roof cost’ form on our website. It takes just a few minutes and you start by selecting your preferred roof type.